Rampur Palace: Located on the Old Hindustan Tibet Road Rampur has always remained a trading center between India and Tibet. Built in 1917 by Raja Padam Dev Singh, 122nd King of the dynasty, the palace is also named as Padam Palace. 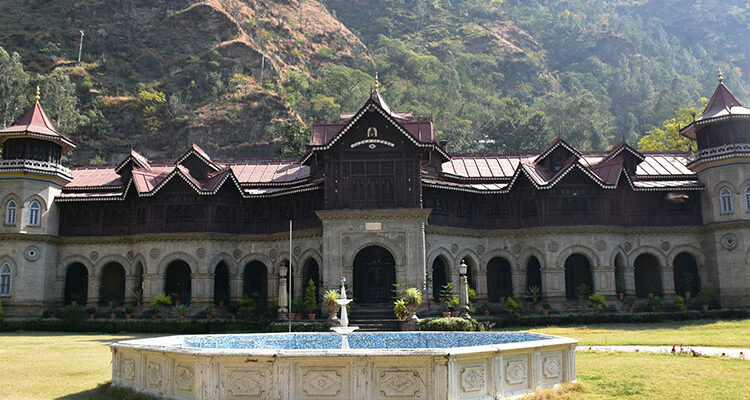 The palace is a private property of the Royal family of Bushahr, Shri Virbhadra Singh the current Chief Minister of the state as is still called as Raja Sahib in the area. Hence it is not possible to visit it without permission and only the gardens are open to the visitors. 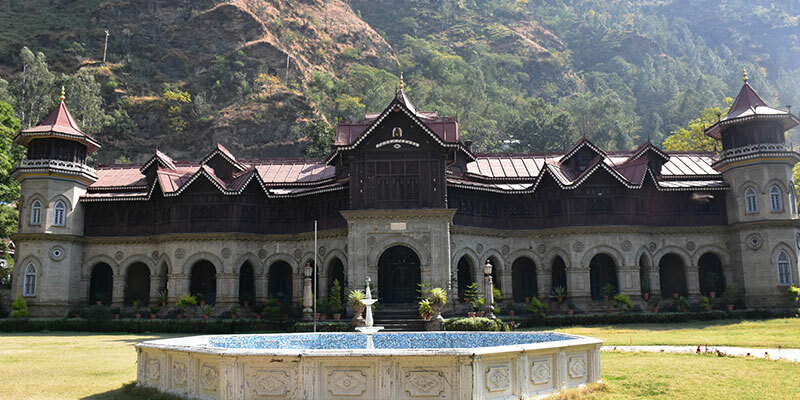 Built in European and Indian style of architecture, the Rampur palace has the ambiance of serenity around. The wooden carved structure along with blue doors is a captivating feature. The palace houses exquisitely carved wooden structures. One can simply adore the colorful combinations of colors, carving, incomparable glass-work, Belgium glass work and fine woodwork. Jubbal Palace: Jubbal princely state was ruled from 1835 to 1877 by Rana Karam Chand, who was the first Raja of Jubbal. Jubbal Palace is one of the most prominent heritage places which used to be the abode of royal family of Jubbal. Initially the palace was built in French style. However the blend of Indo and European style architecture in the modern wing can be seen. 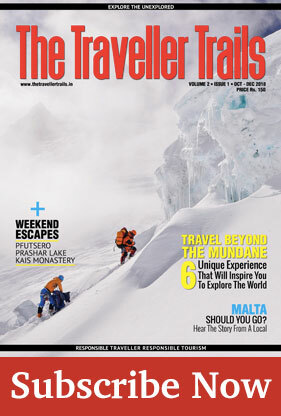 The Palace is remarkable for the enormous masses of deodar timber used in its construction. The main entrance to the palace is through a massive wooden door which is around 18 feet high and 7 feet wide. It also houses the ancient guns, Persian carpets, timeworn furniture, family portraits, jharokhas and a rich library with a choice collection of Sanskrit and Persian books.